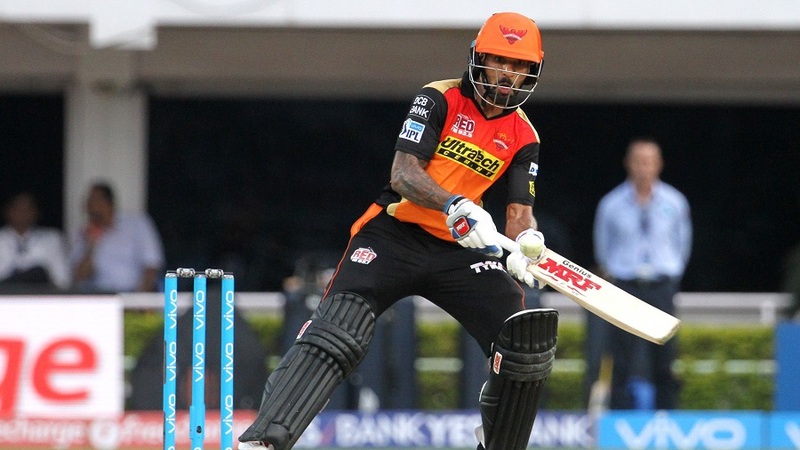 It was a 'home' game for Mumbai Indians, but it was Sunrisers Hyderabad, whose base is geographically closest to Visakhapatnam, that rode on Shikhar Dhawan's unbeaten 82 and Ashish Nehra's new-ball burst that fetched him three wickets, to defend 177 with aplomb. A sixth win in nine matches took them to No. 2 in the points table. Four of Rohit Sharma's five half-centuries resulted in successful chases for Mumbai this season. 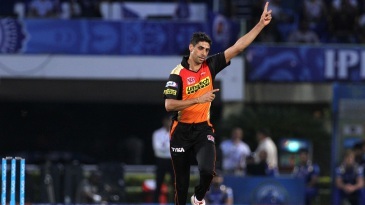 Against Sunrisers, he lasted three balls and exposed a middle order that has thrived on Rohit's holding role. They couldn't find form against a rampaging Nehra, whose late swing broke Mumbai's backbone with the strikes of Rohit, Ambati Rayudu and Jos Buttler. At 30 for 4 after four overs, it was a case of trying to limit damage for Mumbai, with Sunrisers' bowling depth shining through once again in their 85-run win at the ACA-VDCA Stadium.